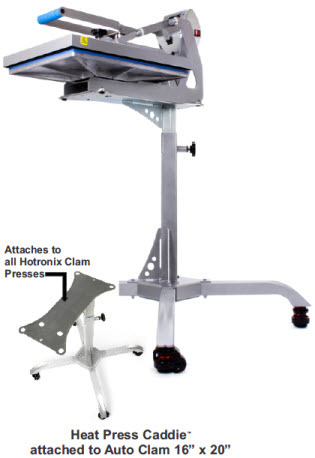 Hotronix® or MAXX™ Clam model into a threadable heat press. your shirt once and rotate it right on the platen. you to wheel your press around your shop. Note: Free freight does not apply to this product.